When customers come to us for custom wrought iron pieces, their first question is usually: how do you do it? Taking a design from just an idea in a customer’s mind to something concrete, beautiful and expertly crafted seems impossible, but it’s our specialty. 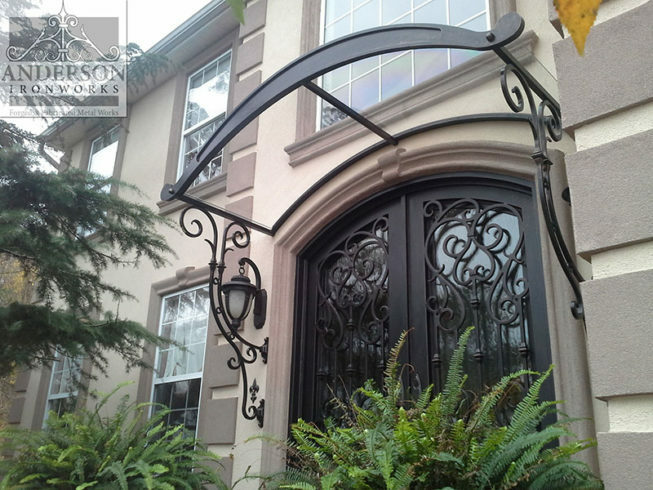 We love to take that initial idea and deliver the perfect custom wrought iron gate, fence, railing, archway or balcony for your home or business. 1. We meet with you to pick your brain. Maybe you have a clear vision in mind of what you want, or maybe there’s a specific problem you’d like us to solve but you’re not sure how. Whatever the case, we’ll talk through it in our initial meeting. It’s best if you nail down as many specifics as possible before this meeting, such as your budget, your timeline, and any photos or measurements. The more information we get from you, the more accurate the project estimate will be. 2. We design your dream project. This is our second favorite part of the process. We take all the information you gave us during the consultation and we turn it into a 2-d CAD drawing, then we present it to you for the first glimpse of what your project will look like when it’s finished. It’s always gratifying to see the look on a customer’s face when their project starts to take shape on paper! After we go over pricing and you accept our proposal, we move on to the next step. 3. We fabricate and finish the piece. Back at our shop is where our skilled craftsmen truly shine. After the materials have been ordered and prepped, we use the approved CAD drawings as a template for creating your custom wrought iron piece. Depending on the project, the smithing process usually involves heating the iron until it’s soft enough for us to bend, chisel, chaste, draw out, twist and forge into whatever shape necessary! When it’s done, we’ll apply the finish we agreed upon in the design phase, whether it’s hand painting, galvanizing powder coating, electro-static applied liquid paint or otherwise. 4. We install your new custom wrought iron item. Some pieces don’t need to be professionally installed, but if we’ve created a beautiful custom iron gate, balcony or other large piece, you can bet our skilled craftsmen are equally skilled at installing our pieces, and will see the project through professionally and competently. Seeing you satisfied with a job well done on our part is our absolute favorite part of this process. The first step to beginning your custom wrought iron project is to gather all the information you’ll need for your initial consultation and think about what you’d truly love to see in your space. The next step is to reach out to our office here or by phone: (215) 886-1170—and we’ll take it from there!